As long as racism exists, and people continue to stereotype the African American woman, there's always going to be controversial stories to make up and tell. 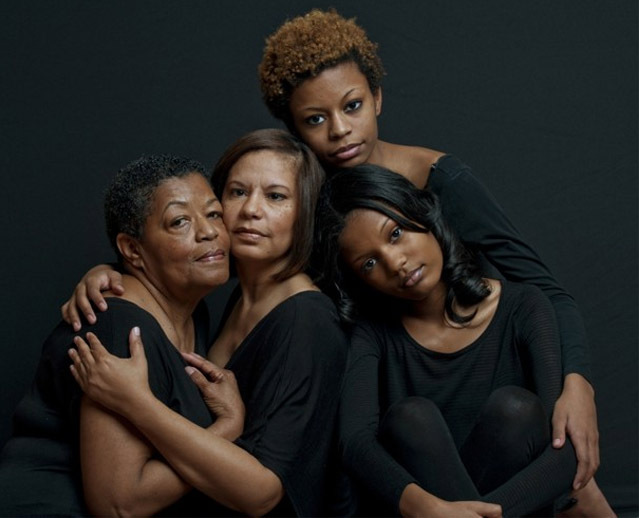 This time, however, the stories are being told by black women themselves through a nationwide survey. The new nationwide survey conducted by The Washington Post and the Kaiser Family Foundation, delivers a complex portrait of black women who claim to feel confident but vulnerable, who claim to have high self-esteem, but see physical beauty as being important, and who find religion and career success more vital to them than marriage and romantic relationships. Specifically, the survey finds that forty percent of black women say getting married is very important, compared with 55 percent of white women. It also finds that more than a fifth of black women say being wealthy is very important, compared with one in 20 white women. Sixty-seven percent of black women describe themselves as having high self-esteem, compared with 43 percent of white women. Forty percent of black women say they experience frequent stress, compared with 51 percent of white women. And, nearly half of black women fear being a victim of violent crime, compared with about a third of white women. While attempting to paint a perfect picture of the black woman, the Post-Kaiser survey reports that nearly six in 10 black women say they worry about providing a good education for their kids. It further shows that sixty-three percent of black women said it is acceptable to have a child without being married, roughly the same percentage as white women. Adding to that, sixty-seven percent of unmarried black women say they would be willing to marry someone of another race. But thus far, that willingness is not matched by experience. As you can see, it appears the survey was conducted to compare black women to white women. Overall, the survey concludes that eighty-five percent of all black women are satisfied with their lives, despite what others think.